With permission from a friend in a parent support group, I am printing the letter that she created for her child’s IEP team. I am removing identifying information. A letter is especially helpful for those of us with kids who have attachment and trauma issues–most kids in the foster care and adoption systems. Many people really mean well, but some of their actions, without their knowing it, trigger setbacks and problems for our kids and families. This type of letter serves to keep everyone on the same page. –I will supply a bag of clean clothes. If he shows up with torn, smelly, poorly fitting clothes, you have the option of telling him to change. —Don’t use physical affection (hugs, I love yous). Use high fives, but not excessively. Even affectionate, family-type phrases like, “We’re your family while you’re at school” have been misunderstood by him as school staff wanting to be his new foster family. —Use natural consequences (if he tears apart his shoes or wears a summer shirt in 20 degree weather, he can stay inside during recess, rather than getting attention, donated clothes, or criticism of home for “sending him to school this way”)). —Avoid excessive rewards (if he gets a whole series of rewards during the school day–praises, hugs, stickers, iPad time, candy, prize box items–he gets extremely frustrated at home when he can’t get that same quantity. The frustration often leads to more resentment of home, long meltdowns, runaway or property damage behavior). —It’s his homework, not mine. I will have a homework desk and school supplies available and will help (not do it for him). If he keeps refusing (or “losing” the homework), the consequence will be at school. —-The consequence for missed homework or other negative choices should not involve increasing one-on-one attention. Having adults giving him talks about homework or letting him stay inside (at recess) to be the teacher’s helper reinforces the behavior. —Understand that the charming, helpful, shy, and entertaining behaviors seen at school are very unlike behaviors at home. This is part of RAD, that kids with early trauma often seek to control their environment through developing a public prescence that everyone loves, or by teaming up with outside adults against home (triangulating). —Avoid making home the “bad guy. RAD parents don’t become overjoyed when other adults say, “He behaves perfectly for me . . . Maybe if you did/read/bought/said something different . . . ” Then, professionals blame the parent for “not appreciating him enough” and seek to rescue him. This is damaging to the tentative bond he is forming with home. —Make consequences quick and praises specific (versus all-encompassing statements, like “You are so awesome”). —It helps when adults resolve differences privately, versus in front of my child. —Use email early and often. This prevents misunderstandings from turning into resentment between home and school. —Understand the “parent-shopping” phenomenon. Even though he no longer jumps into professionals’ and strangers’ laps or hugs their legs, or asks to move in with them (thanks to all these therapies), the “shopping” behavior has become more subtle. And it leads to fantasies about moving in with favorite teachers and having a life with no rules. Yes, all kids do that at times, but he carries it many steps further, threatening to run away or to kill me or my family if he can’t live with that person. The goal is to keep him out of residential care or the juvenile system. —Pass on this information to any substitute or aide who will be working with him. —No individual sessions with the counselor. He can participate in the group programs, such as the counselor coming to the classroom to talk about bullying or friendship. —Limit one-on-one time with adults (such as having him eat lunch in the classroom with the teacher while the aide takes everyone else to the cafeteria). 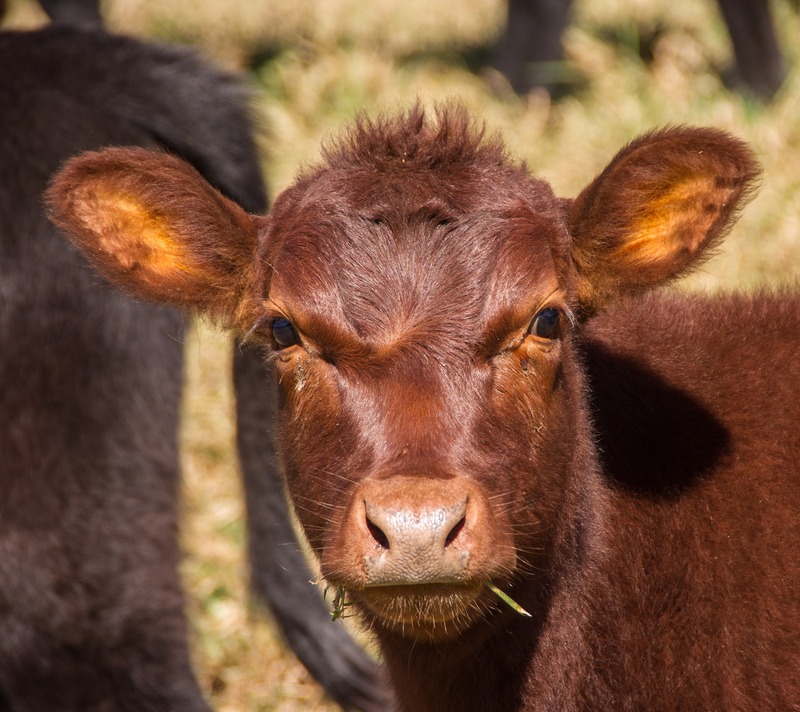 Friendly Disclaimer: No cows, school personnel, or families were harmed in the writing of this research-based blog post. The author was raised in a pro-education family, still looks up to, and maintains contact with teachers from childhood. In fact, one parent was a school administrator and teacher for decades. The author has an MS in Rehabilitation Counseling and was first certified and licensed as a counselor over two decades ago with experience in juvenile, adult, mental health, substance abuse, and criminal justice populations. As for rural credibility, this author served all eleven allowed years as an active 4-H member and knows a little bit about milk production. Nevermind that research indicates traditional behavior modification techniques are not effective with much of the population that will experience situations that fall into this category. We will address that a bit later. This isn’t even a valid behavior modification technique. If anything, it reinforces the undesired behavior so that the child maintains a sense of control over the parent by being able to get him or her into trouble. This is especially true of those children with PTSD (Post Traumatic Stress Disorder) and attachment issues. It may however generate revenue for a municipality or other entity. It may also fulfill someone’s misguided need to feel powerful. Money and power. Those are not therapeutic tools generally recommended…for anything. The beginning of the alleged “pipeline” would be sending kids or parents to incarceration, which is often a means to learning negative peer behavior and future incarceration. In some states, a few folks have found out how to make themselves and shareholders very wealthy by privatizing prisons. The gist is that they severely underpay staff in stressful positions, putting folks at risks, and make quite a bit off the top for themselves. This creates a high staff turnover rate and can make for poor continuity of services. It would be interesting to know which states or counties that have bought into the privatization pitch inappropriately try to crucify parents for child behavioral health issues. If any of the stakeholders pushing for punative measures as opposed to more appropriate assistance also have stock in privatized corrections, there may be a money trail. Hmmm. Got ethics? Another, more commonly recognized money trail is the correlation between student attendance rates and school funding. There can be pressure from a variety of sources on a school district and county to keep attendance high enough to not lose any funding. Sadly, the love of those dollars wins out over the best interests of the students and families. Criminalizing truancy only adds trauma and compounds mental health issues. There have been instances where working parents lost jobs due to punative jail time because the school not wanting to address mental health issues appropriately as opposed to as just truancy. One parent actually died in jail over a truancy issue. The unnecessary guilt piled upon her children had to be immense. Technically, mental health and emotional issues such as anxiety and depression that are interfering with education should be addressed in a 504 Plan or an IEP (Individualized Education Program.) ADA (The Americans with Disabilities Act) is not a new concept. (Try thinking Rehab Act of 1973…) This is 2017! Youth have a right to a free, appropriate education. If the school is not able to assist in a way other than just “facilitating suggestions” or similar things people say to document in attempt to be legal, with actually getting a child to school and to engage, they may be obligated to provide education in a therapeutic residential setting until emotional stability occurs. Appropriate is not just warehousing a child to collect per diem. Appropriate is not expecting the parent to do what the school gives up on–most parents did not cause their child’s trauma or mental health issues and have no more ability to fix them alone than the entire school staff would have at its disposal. Appropriate is not making some crazy assumption that it has to be a bad home life or a faulty parent but instead using the knowledge we actually have in 2017 on how trauma, medical conditions, and mental health come in to play. Research (don’worry– a list of links and resources is provided…) does indicate that developing positive, working relationships with the child and family can help. Furthermore, it is known that for kids with attachment disorders, they will set out the parent–most often the mother figure– with the more severe attachment disorder cases. So, if you tell a child that you are going to fine or jail the parent for the child’s behaviors, you have given that child control. He or she may try to ensure that the worst case scenario happens. The older and bigger the child becomes, the more dangerous you have made life for the parent, the child, and society. While we are on are similar topic, maybe a stretch, the respect that EVERYONE wants needs to be mutual. Yes, parents need to be respectful speaking to school, community, and other authorities in front of their children. However, the reverse needs to also be true. Otherwise, it can create a dangerous situation in which you have undermined a parent’s authority in front of his or her child. Please don’t do that then complain about parents not having control of their children. Even Bessie the cow can connect those dots. “Do no harm” used to be a more common phrase. We need to bring it back. Punative measures (especially when applied to parents for kids that a entire school can’t seem to corral…) are harmful and actually add trauma as opposed to getting to the root problems. Time does not just make these problems go away. Doing time most certainly will not make them better–unless maybe the person is in one of the rare locations in the United States attempting to make up for the lack of community mental health treatment by addressing some of it during incarceration. Yes, consequences and discipline are necessary but within reason, and not for profit. With many kids, it must be understood that they may not connect that the discipline ties to behavior because of the effect trauma may have on cause and effect thinking. It has to develop. Healthy relationships can help that process. Harsh consequences and rejections will hinder the process. Trauma spreads from the affected child or family member to the whole family. What may appear to be apathetic parents may actually be caregiver PTSD or secondary PTSD symptoms. It becomes a medical issue for the family members as well. Please don’t make it worse for them. Keep the “we need you to do this token busy work so that we can document that we are facilitating an effort to provide family service” stuff to a minimum and actually HELP them. It’s not just that folks seem to be barking up the wrong tree. They somehow took a rather sharp wrong turn and wound up in the wrong forest. Now, Bessie is a wonderful, beautiful cow in her own right, but she knows she doesn’t produce chocolate milk. Either the folks who engineered self-serving, punative measures grew up without the benefit of participating in 4-H or FFA, or that bull mentioned earlier has some smoke and mirrors. Who else suspects that as long as someone pays the dairy to document that Bessie produces chocolate milk, at least on paper, she will? 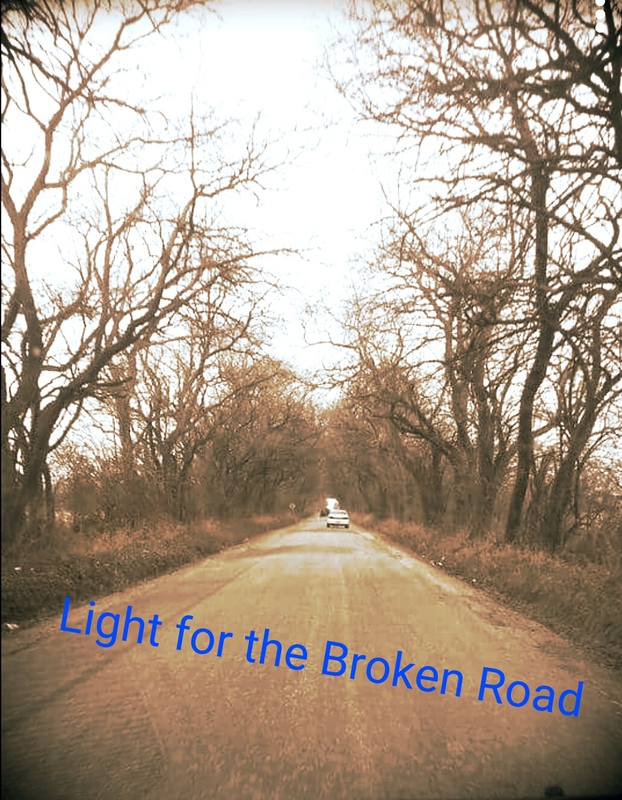 Light for the Broken Road Blog at WordPress.com.